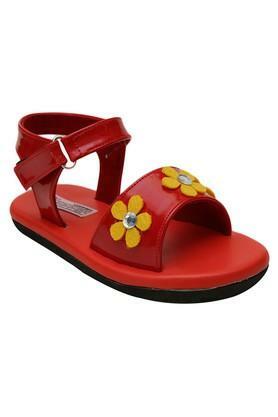 Choose this pair of sandals brought to you by D'Chica and upgrade the footwear closet of your baby girl. The use of ethylene vinyl acetate sole ensures a firm grip while the round toe enhances the design of the sandals to a great extent. 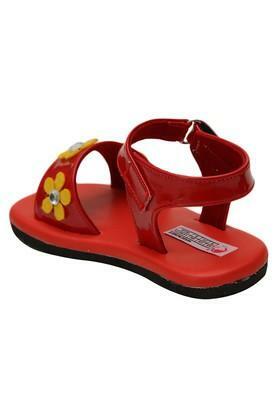 In addition, the patent leather upper makes it easy to maintain. 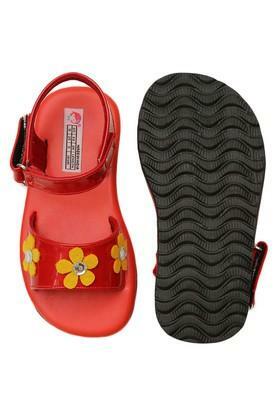 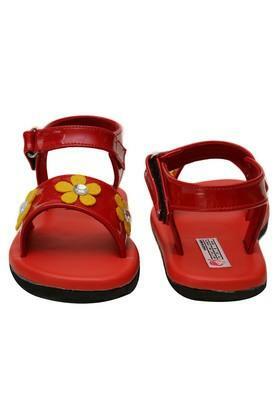 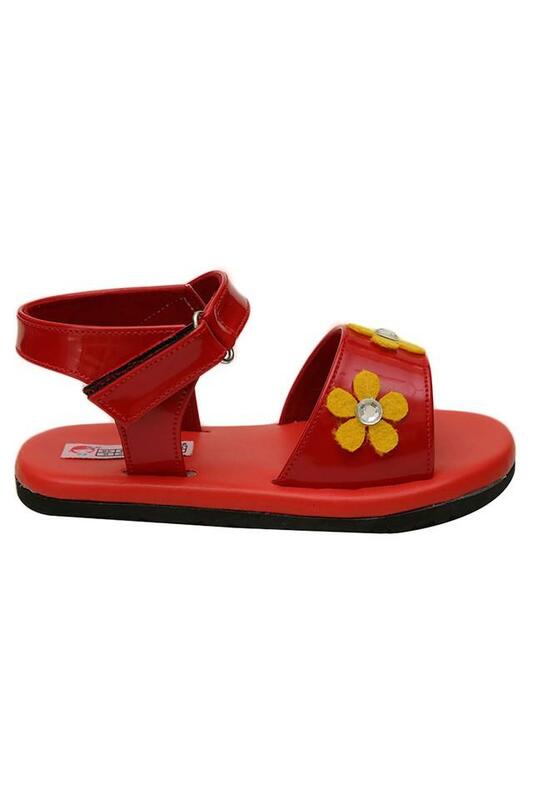 Designed as per the latest trend, this pair of sandals will surely catch the attention of your little girl. Featuring a floral motif, it can be worn for several occasions.